How about this great story about an 84 year old aquarium diver? An inspiration to all. Once a month, Irby Hartley gives his scuba gear the once-over. A life-long diver, he was thrilled when the Tennessee Aquarium came to town. “I said wow, I would like to be able to do that and not have to to all over the world to do it,” laughs Hartley. 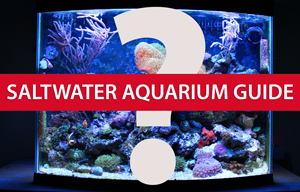 This sounds like an interesting activity in general – letting the public help out with aquarium cleaning! This would be a great way to experience the aquarium from a whole different perspective.